Virtual reality still has a long way to go before being fully embraced by the public, but Oculus’ newest headset, the Oculus Quest, has removed one of the major obstacles barring it from mainstream success; instead of being tethered to a home PC or console, the Quest is its own standalone system with no wires to worry about. 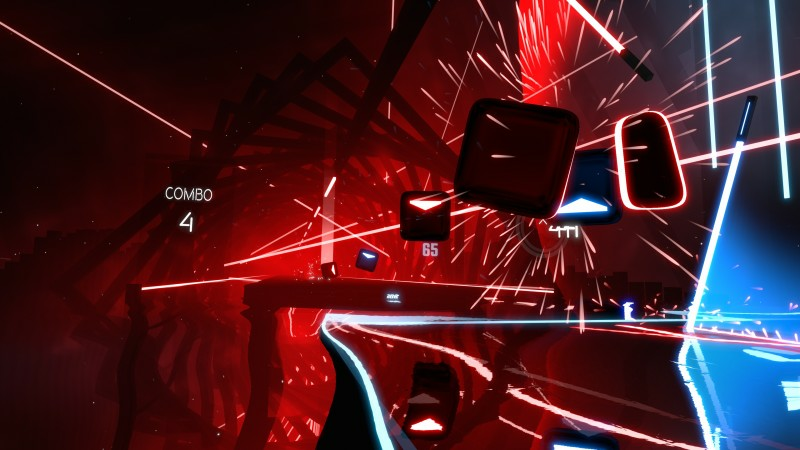 Now, the Oculus Quest also has one heck of a killer app: Indie developer Beat Games announced today that it will be bringing its highly lauded, note-slicing rhythm game Beat Saber to the new system. Kyle reviewed the PS VR version of Beat Saber last year and only had positive things to say, calling it, “one of the best experiences you can have in virtual reality.” We’re guessing that’s even more true now that you can spin around without inadvertently strangling yourself, which you can see in the trailer below. The spinning part. Not the strangling. The Oculus Quest is slated to release sometime this spring for $399.